BleachHouseLibrary.ie: Cecelia Ahern Giveaway to celebrate #IrishFictionFortnight - Open INT. Cecelia Ahern Giveaway to celebrate #IrishFictionFortnight - Open INT. Thanks to the lovely people at HarperCollins, I have a great giveaway to celebrate Irish Fiction. 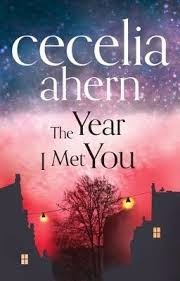 I was lucky enough to attend the Bord Gais Energy Irish Book Awards, in November 2014, and saw Cecelia walk away with the award for Best Popular Fiction for 'The Year I Met You'. Jasmine and Matt live opposite each other in a small Dublin cul-de-sac, but have never spoken. They lead very different lives and neither have any interest in being part of the neighbourhood watch scheme, chats across driveways or even bothering to wave as they pass by each day. They have their own agendas and being pals with neighbours is definitely not part of what this entails. One New Years Eve, their paths cross, despite the odds, and suddenly their agendas have altered. Both have inner demons, and both have fiery tempers. Family issues are also a common thread but in very different ways. Jasmine had to take on responsibilities at a young age, where Matt struggles to look after himself, never mind his family. The two rivals become reluctant allies as they struggle to adjust to their new roles in this new year. 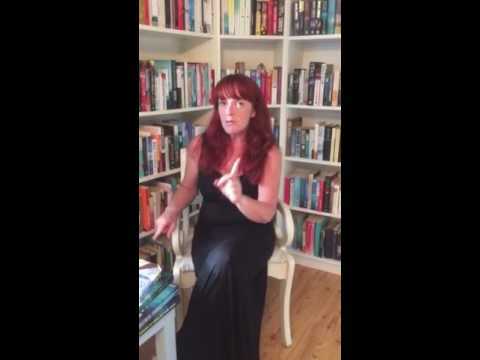 There is no need to fill you in on Cecielia Ahern's resume, as she is one of the best known, and best selling, female fiction authors of our time. This is her 11th novel and, dare I say it, maybe her best? The story is simple. Two people, two struggles with identity and lots of family drama. So far, so normal. The only thing is, the author has such a way with words that from page one I was hooked, on that suburban road, with twitching curtains and well kept lawns. The book is divided over the period of a year, in seasons, starting with Winter. The reader is introduced to Jasmine, recently fired and now wide awake at all hours of the night. Matt rolls home drunk most evenings and is unaware he is watched by his neighbour regularly. He unravels in front of her, as she she herself tries to deal with her own troubles. She knows him, as does most of the country, due to his public role, and she has a grudge which makes her like him even less. This is where I expected the book to get predictably romantic and gushy. It didn't. Friendship and support is what this book is about, not love. Where other female writers may have taken the reader on the journey of dinner dates, champagne and wonderful love-making scenes, Cecelia Ahern uses her talent to tell us stories of nature, solidarity and change. True, money does not play a part in either Matt or Jasmine's new lives of leisure, and this rarely is the case, but on the other hand, money is not the issue here. Trust in a person cannot be bought, and honesty can sometimes be cruel but is usually the best policy. There are wonderful descriptions of garden life throughout this novel and these are cleverly balanced with harsh realities like dependency on alcohol, the need for reassurance and the day to day living with disability. Jasmine's sister, Heather, has Down's Syndrome and the author has researched her extremely well , giving us a glimpse of her yearning for independence yet showing the fears her family will always have for her well-being. I really enjoyed the supporting characters, mainly neighbours and even pictured Mr Malone reading to his wife in their garden, bringing a little lump to my throat. The retired GP who lives in the cul-de-sac was also great and his voice and posture seemed to come alive. I genuinely loved this book. A great look at how we should not presume we know everything about people we know, or think we know and a great reminder that we should never judge a book by its cover ( or in this case, genre ). Both books are published by HarperCollins. For your chance to win, just click on the rafflecopter link below. Open INT. Good Luck! You won't believe it but I've read only one... "P.S. I Love You"... I know. I KNOW. Ps I love you.need to read more. It's a toss up between P.S. 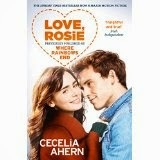 I Love a You and Where Rainbows End....I might have to reread both to make a final decision on it! Love Cecilia Ahern. PS I Love You is my favorite so far. Wonderful insight for such a young author. The Time Of My Life is a favorite of mine. My most favourite book of all books is PS I Love You.